Just as we headed into Cunnamulla my vehicle’s fuel filter alarm went off. Clogged. A stop in Cunnamulla saw a speedy fix – a new filter was installed, the old one was blocked with what looked like algae (not uncommon in diesel). 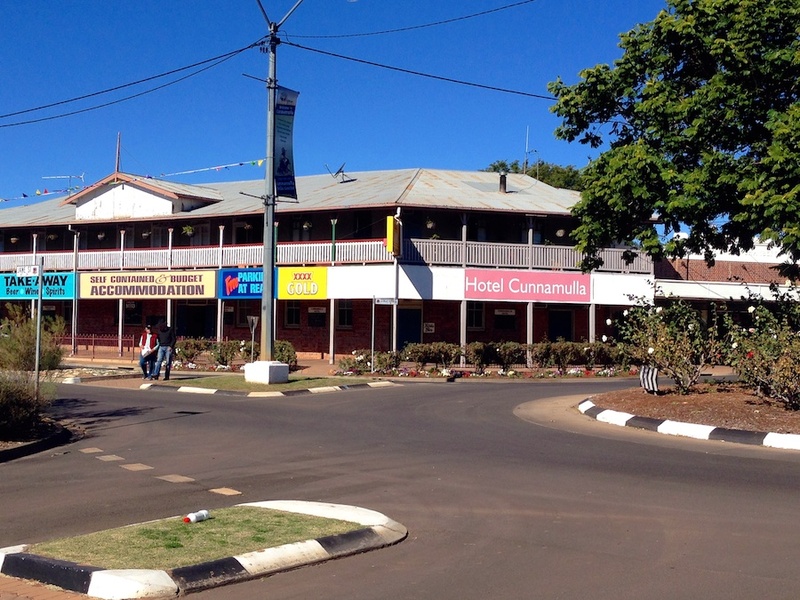 Lunch was had in downtown Cunnamulla, across the road from the Hotel Cunnamulla.